Hello students! Hope that everything is going fine. Here on this page going to tell how can make modification in Bihar Board Class 12th Admission Form. As you know that from this academic session Bihar school examination Board is going to make counseling for the intermediate admission. All +2 School/college which are providing Bihar Board pattern education have to make online counselling for the admission. While filling of online form for the admission students made some mistake or later on want to make some change in that. Then Here through given process students can make an online modification for the admission. Some of the students after successfully making of admission form fee of BSEB OFSS want to make some change the Bihar Board OFSS Application Form. Following the updation can be done by logging through user id and password. New Updates: Bihar Board Intermediate Spot Admission Apply is going on apply before dates over. Updating/Changing College/School Number priority wise position. Above mentioned modify/Update you want to do then go through the below-described step for making a correction in Bihar Board Inter Admission Form 2018 / BSEB OFSS 2018 Admission Form. While filling and submitting of application you got a message from BRGOVT about the User Id and Password with a reference number. if you lost then you can also retrieve it from following below instruction. Enter User Id and Password >> Following detail, you got through the message. Enter Captcha code which shows an image. Note: Password can be reset using a Mobile number or barcode number. After login OFSS Dashboard personal information modification can be done online by hitting at the Personal information Below the Dashboard written. information will be shown as shown in the image. Students who want to add more school/college they can do it by login and students can also modify the choice preference option by login at Bihar school examination board online facility of students system at Option Preference. 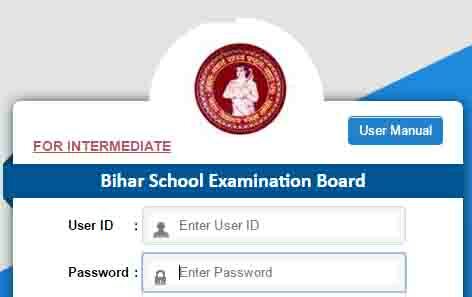 Have any question or problem in filling of Online Admission form of Bihar Board intermediate admission 2018 then ask through the comment. We try to provide the answer from an expert. Sir! Mai 12th ka improvement exam dena chati hu.uske liye mujhe phir registration krbana padega ya sirf form bharege.please reply me quickly sir! please share registration number to ensure you. WHILE FILLING Bihar intermediate admission form, PAYMENT FAILED THROUGH SBIePAY. THEN HOW TO MAKE the PAYMENT WITHOUT FILLING THE FORM AGAIN. https://online.ofssbihar.in/studentlogin/studentlogin.aspx login yaha kar skate hai , mobile number change ka option nahi hai. Last date of correction/modification in 11th form (application) for admission. aap login karke student login phir personal informatiom me sudhar kar sakte hai. dear applicant apna mail check kare, sab paisa gateway se payment success hone me time lagta hai, conformation ke liye support@sabpaisa.in email id par apna transaction mail kare. Sir what is the procedure ahead after filling the form. His do we get admission in the colleges. His do we come to know in which college we got the name.I’m to confused about that. Sir, last date of crrection or modfiying of form kya h?? Sir Maine online registration bhi Kiya hai to an admission kaise hota..
Sir inter ka correction date kab aayega kya ussme hm math optional kar main biology kka correction kkar sakte hai .pahle se math main me kiya huaa hai. Sir, how many times slide up can be done? Is there any limit? i want to change the college and stream. Kindly guide me. two times, If you got the first choice which you applied, then you will not eligible for it. 25 ke baad link shayad open ho login karke check kar correct kar sakte hai, Phir second counselling me admission lene ke liye eligible ho jayenge.